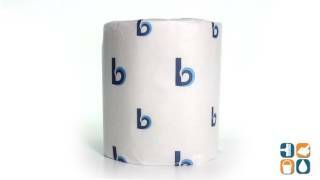 Boardwalk brand toilet paper is an economical and eco-friendly paper product option. This quality 1-ply toilet tissue meets all EPA guidelines with 65% post-consumer waste content and 35% pre-consumer waste fiber. The ideal toilet paper for the home or office, Boardwalk 1-Ply Standard Toilet Paper is the smart choice for any residential or commercial bathroom environment. Each embossed white sheet measures 4.5" x 3.75". This high quality, affordable toilet paper is a great choice for schools, daycare facilities, offices, and residential homes. 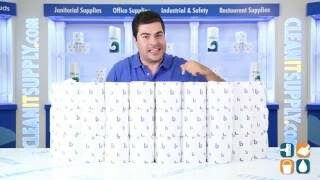 Stock up on Boardwalk 1-Ply Standard Toilet Paper, the toilet tissue savvy buyers choose. I buy this 1 ply tissue for our church which has old plumbing but new low flush toilets. Really pleased that we rarely have problems now.